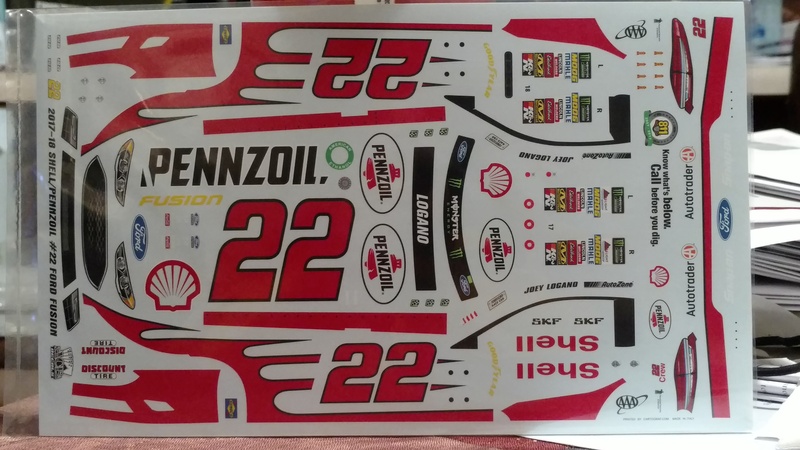 1/24 Scale Sheet to do Joey Logano’s regular Shell/Pennzoil car. Sheet will cover 2017-2018 years. Finally arrived!! Brand new decal designed to fit the Revell Ford Fusion kit. Cartograf printing, all you need to do is paint the yellow! !